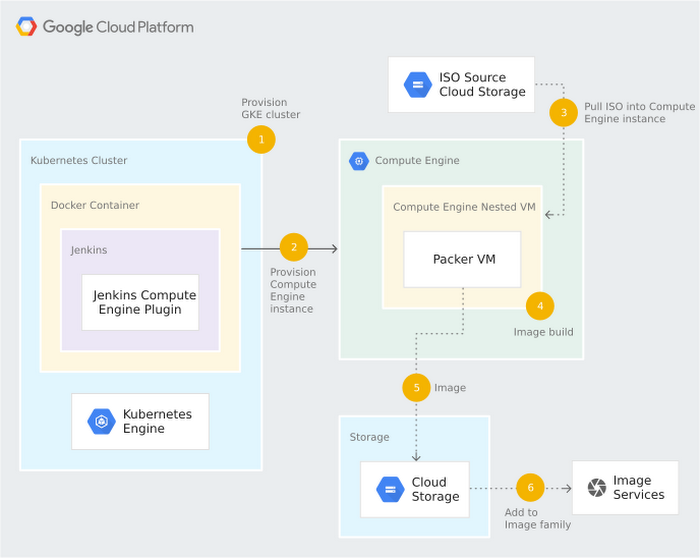 To reuse these existing investments, you can easily turn your own custom installations into GCP base images using nested virtualization on GCP. We recently created a guide that will help you do just that: use your ISO CD-ROM images and Kickstart scripts to create your own customized Compute Engine base images. The guide walks you through setting up Jenkins, a Jenkins agent with accelerated nested virtualization and Packer. It also shows you how to set up the Jenkins job and Packer script to create custom base images that you can use in GCP.